Using VPN technology, you can hide your IP address and encrypt all traffic between your computer and the VPN server. Your ISP will not know what websites you visited using an anonymous free VPN. Why are so few free VPN services? Only a few companies provide free VPN services. Usually free VPN services are closed after 1-2 years of work. All VPN services bear costs, including free ones. Therefore, a free VPN can only be for clients, but not for service owners. VPN services that provide anonymous services have such costs..
Of course, there are VPN services where the software was configured several years ago, as described in the standard manual. And the only competitive advantage is the price of $4 per month. If you need a high-quality anonymous VPN, we recommend reading our article How to find out if the VPN service keeps logs. You'll find out whether it's worth using a VPN service that logs. In our opinion, there are 3 reasons for the appearance of free VPN services. 1. Give something free to then sell paid services. Some VPN services have free VPN access with restrictions on traffic volume, closed mail ports. Then the company tries to sell paid services. 2. Earnings through advertising on the site. The website usually has a very low-quality design. Free access to VPN servers is provided. The site hosts advertising Google Adwords or advertising banners when clicked on which the owner of the service receives a reward. Such services live no more than 1 year, as the server costs are higher than the advertising revenues. We do not recommend using such a free VPN service because the quality of anonymity can be low. Your data can be stolen. 3. Active tracking of users on the Internet. VPN services can be created by government agencies to track users. Such companies are registered as private non-profit organizations to fight freedom of expression on the Internet. In this case, all traffic is analyzed by the special. Services, there are interrelations with your friends, a complete dossier is compiled. In this case, privacy secrets can be used to pressure you. absence of anonymity. All transmitted data can be stolen. If you are not sure about the reliability of the service, it is better to refuse to use it. limitation of access speed. Many customers generate large traffic and, as a consequence, a noticeable drop in speed. Therefore, the VPN service has to limit the maximum speed. blocking of mail and other ports. A free VPN is often used to send spam, so mail ports are usually blocked. You can not send letters from the programs TheBat, Mail, Microsoft Outlook. viewing obtrusive advertising. Advertising helps to recoup costs. lack of technical support. If you have connection problems, then no one can help you. We provide anonymous VPN services since 2006. Read review of VPN service to know about all advantages. A VPN account will be created for you. We provide this test access to our services. We create a free VPN for 3 days. Usually after this, our customers renew the subscription for 1 month, thanks to our security technologies. If you need a VPN for a long time, then you can renew the VPN subscription for free by participating in the Refer a friend program. You need to buy any paid VPN subscription with a validity of 1 month and longer. Look prices for VPN subscriptions. Tell your friends about our service using a special link. Every friend who buys a VPN subscription (with a period of 1 month and longer) will receive 1 month free of charge on your link. Also your VPN subscription will be renewed for 1 month as a bonus for the attracted customer. Find out the detailed terms of the program Refer a friend. Do not close the page and get a FREE gift from us! We give you a book that has already been read by more than 6322 people. You will find out what other ways exist to change your IP address on the Internet. 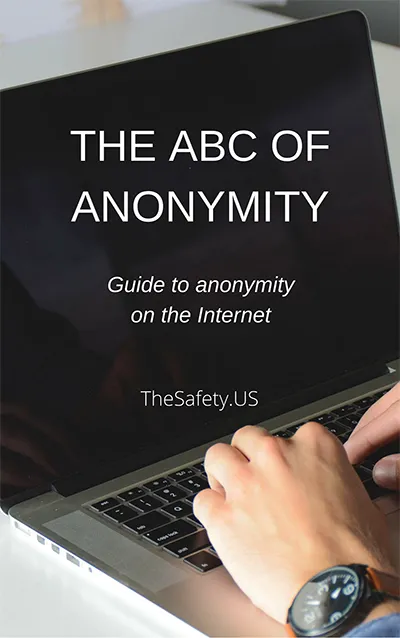 Also we will give you free access to the knowledge base on anonymity on the Internet. Usual price $149. We give you this for FREE! Just enter your Email.